LOME, TOGO- Ecobank, the Pan-African bank has today December 12 announced the appointment of MFS Africa as digital payment partner enabling cross-platform payment services for Ecobank account holders. The partnership grants chance to Ecobank customers to send and receive money to and from over 170 million mobile money users through integration with MFS Africa that covers all Telecoms in the MFS Africa Hub. The service is both domestic and cross-border intra-Africa transfers leveraging Rapid transfer, a proprietary instant remittance product of Ecobank. In line with the bank’s digital strategy, the partnership with MFS Africa Hub creates the first major initiative of interoperability between the bank account and mobile money customers. This brings greater value for mobile money customers as they can now send money directly to any bank account in Ecobank without infrastructural hinderances; conversely, Ecobank customers can do the same. Ecobank operates in 33 African countries, serving over twenty million customers. 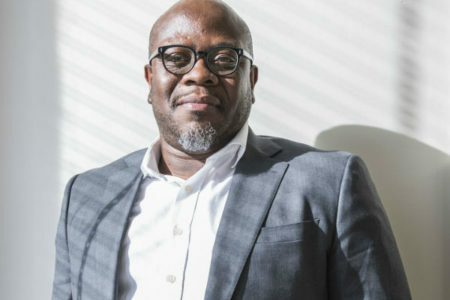 MFS Africa operates the largest mobile payments hub network in sub-Saharan Africa, connecting over 170 million mobile wallets, and a wide network of money transfer operators and merchants. Through partnerships with mobile network operators including MTN, Orange, Airtel, Moov, Econet, Tigo, Safaricom and Vodafone, MFS Africa allows mobile financial services to scale across borders, currencies, and networks with a Pan African Bank like Ecobank. “Typically, banks and other financial service providers seeking to integrate to mobile wallet systems are confined to domestic markets with almost no interoperability among networks in a single country, let alone across borders, severely inhibiting utility, efficiency, and customer experience. The collaboration between Ecobank Banking Group and MFS Africa eliminates this hurdle and accelerates the ecosystem, driving financial inclusion and offering a greater range of options to Africans,” he added. “We’re proud to offer seamless payments across networks and borders into the next frontier of financial inclusion – mobile wallets – to Ecobank customers. 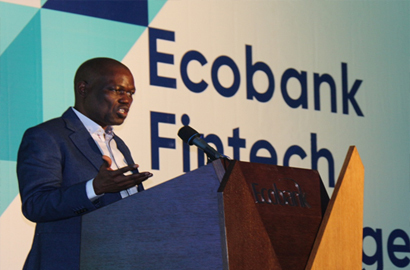 Historically, the relationship between banks and fintech has been competitive but Ecobank has demonstrated a win-win approach to partnership that takes care of every stakeholder in the value chain. Ecobank is the first financial institution that shares the MFS Africa vision to make financial services more seamless, convenient and interoperable across Africa”. Incorporated in Lomé, Togo in 1988, Ecobank Transnational Incorporated is the parent company of the leading independent pan-African banking group, Ecobank. It currently has a presence in 36 African countries, namely: Angola, Benin, Burkina Faso, Burundi, Cameroon, Cape Verde, Central African Republic, Chad, Congo (Brazzaville), Congo (Democratic Republic), Côte d’Ivoire, Equatorial Guinea, Ethiopia, Gabon, Gambia, Ghana, Guinea, Guinea Bissau, Kenya, Liberia, Malawi, Mali, Mozambique, Niger, Nigeria, Rwanda, Sao Tome and Principe, Senegal, Sierra Leone, South Africa, South Sudan, Tanzania, Togo, Uganda, Zambia and Zimbabwe. The Group employs 15,930 people in 40 different countries in over 940 branches and offices. Ecobank is a full-service bank providing wholesale, retail, investment and transaction banking services and products to governments, financial institutions, multinationals, international organisations, medium, small and micro businesses and individuals. MFS Africa is a leading Pan-African fintech company, operating the largest digital payments hub on the continent. The MFS Hub is connected to over 170 million mobile wallets in Sub-Saharan Africa, offering unparalleled reach for financial services providers. The company allows merchants, banks, mobile operators and money transfer companies to take advantage of the unique ubiquity of mobile wallets as a safe, convenient, and cost-effective transaction channel. The company works in close partnership with players across the ecosystem to bring simple, relevant and secure mobile financial services to banked, un- and under-banked customers.